Dr. Ihrke teaches in the Department of Political Science, the Master of Public Administration (MPA) program, and in UWM’s interdisciplinary Urban Studies program. After receiving a Bachelor of Civil Engineering degree from the University of Minnesota, he worked as an engineering technician before pursuing an MPA degree at Northern Michigan University (NMU). 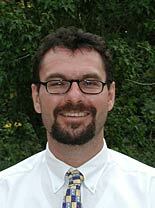 Professor Ihrke also worked in municipal government in Michigan for two years. At Northern Illinois University, his doctoral studies focused on public administration, public policy, and urban studies. Professor Ihrke has written on American bureaucratic institutions and politics, with special emphasis on public employee attitudes and behaviors. He also has written on various local government issues including city council/administrator relations and managerial innovation. He has published articles in journals such as Public Personnel Management, Public Administration Quarterly, Public Productivity and Management Review, and the Journal of Management History. Future research will more fully explore the nature of urban communities. Dr. Ihrke teaches undergraduate courses in urban politics, public policy, public administration and American Government. He also teaches graduate courses on organization theory and public personnel administration in the Master of Public Administration (MPA) Program as well as courses on bureaucracy, and urban public policy and social institutions in the Urban Studies Programs. Students interested in the MPA program at the University of Wisconsin-Milwaukee should contact either Dennis Hatch (Programs and Internships Coordinator) at (414) 229-6810, Berthina Joseph (Program Assistant) at (414) 229-4209, or John Bohte (MPA Director) at (414) 229-4328. Grasse, Nathan J., Heidbredder, Brianne, and Ihrke, Douglas M. “City Managers’ Leadership Credibility: Explaining the Variations of Self-Other Assessments.” Public Administration Quarterly – in press. Ford, Michael, and Ihrke, Douglas M. “Comparing Governance in Traditional Public School Boards and Nonprofit Charter School Boards in Three Midwestern States.” Nonprofit Management & Leadership – in press. Ford, Michael, and Ihrke, Douglas M. “Do School Board Governance Best Practices Improve District Performance? Testing the Key Work of School Boards in Wisconsin.” International Journal of Public Administration – in press. Ford, Michael, and Ihrke, Douglas M. “School Board Member Definitions of Accountability: What are they, and Do they Impact District Outcomes?.” Public Performance and Management Review – in press. Fink, Jennifer T., Smith, D R., Singh, M, Ihrke, Douglas M., and Cisler, Ron A. “Obese Employee Participation Patterns in a Wellness Program.” Population health management. (2015). Grasse, Nathan J., Davis, Trenton J., and Ihrke, Douglas M. “Understanding the Compensation of Nonprofit Executive Directors: Examining the Influence of Performance and Organizational Characteristics.” Nonprofit Management & Leadership 24.3 (2014): 377-398. Heidbreder, Brianne, Grasse, Nathan, Ihrke, Douglas M., and Cherry, Brian. “Determinants of Policy Conflict in Michigan Municipalities.” State and Local Government Review 43.32 (2011): 32-45. Gabris, Gerald T., and Ihrke, Douglas M. “No End to Hierarchy: Does Rank Make a Difference in Perceptions of Leadership Credibility?.” Administration & Society 39.1 (2007): 107-123.